Spiky obsession: Could it finally be here? 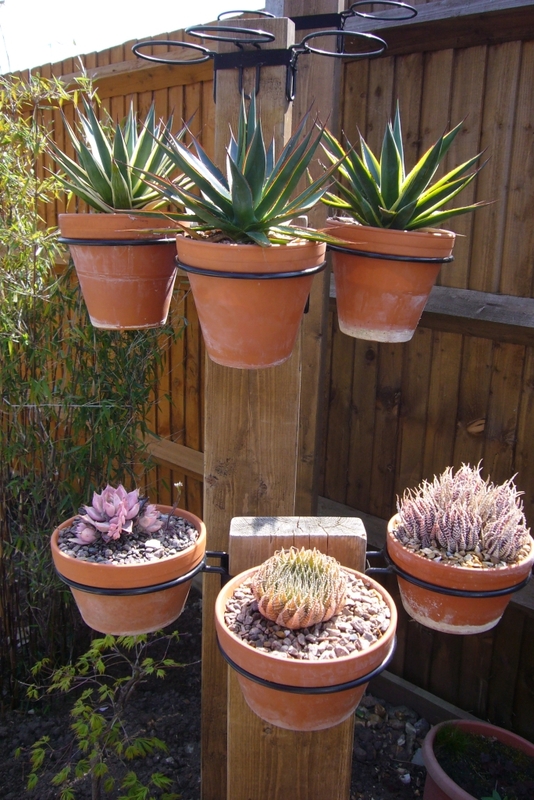 This weeks has finally started to feel like the winter is behind us and it is safe to start putting some of the pots outside. Our winters lately have been so strange I have lost track if this is early or late, just need to keep an eye on those surprise late frosts. 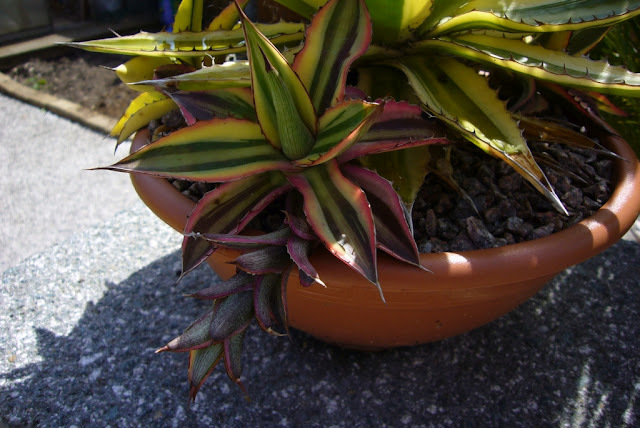 Many of the agaves have pups, some have gone a little mad, this agave lophantha variegata pot is full of pups one of which has decided to grow in a very strange way. I seem to remember that it is the tri or quad colour form, which is slightly nicer than the usual variegated ones. Some re-potting due I think. 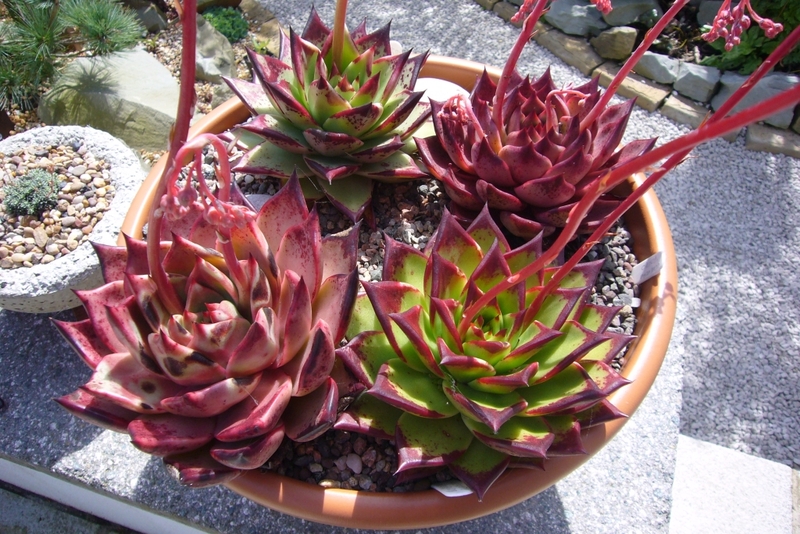 The two largest planters are full echeveria agavoides forms, this one has red edge and ebony plus romeo and sirius. The ebony is darkening up nicely, while those in the ebony bowl have some way to go. The biggest is now my biggest echeveria. They are probably going to have to be split, the mis-labelled one which is actually red edge can be moved at the same time. I may put my seed grown sport into a pot on its own, leaving only 3 plants in that pot. 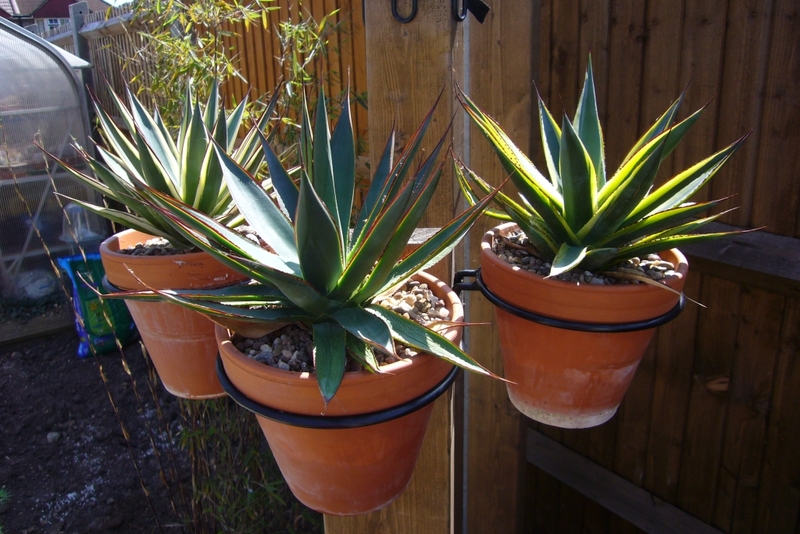 The vertical planting is starting to fill up, the agave glow family are all together this year. They may just be ok in those pots for one more year. Ultimately the bamboo and other shade plants will fill this section and the posts will go back to be purely architectural, but for now they make idea places to display more of the succulents. 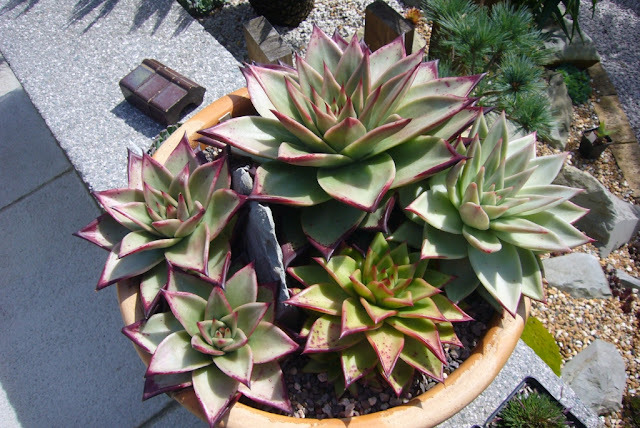 It is good to have the plants outside again, there are still a lot to go, and I am going to have to find a new spot for the bigger pots as I want to plant the section they occupied last year. That issue can wait, for the time being I'll concentrate on slowly hardening the plants off and trying to avoid burning any.